A clumsy, boorish person, especially an uncouth, beer-drinking man. Bob and Doug McKenzie might consider this downright un-Canadian, but marijuana producers are poised to give the alcohol industry even more of a run for its money. As this chart from AltaCorp Capital shows, tokers are already spending more than hosers on a per-capita basis. “Of the over 22 million alcohol consumers in the country, the average annual spending per head was $985, or $82 per month, in 2016, while the average cannabis consumer – of which there were an estimated 4.87 million in 2017 – spent $1,180 per year, or just over $98 per month,” AltaCorp said, referring to Statistics Canada data. Which, of course, it will, as Canada heads toward legalization. The cannabis market “remains a significant threat to alcoholic beverage producers,” AltaCorp added. Indeed, AltaCorp analysts cited studies that indicate legal marijuana could slash sales of alcohol by 15 per cent. Beer is already taking a hit from the rest of its industry, by the way. Beer still dominated the sector. Indeed, sales rose 2.3 per cent in the fiscal year ending March 31, 2016, but wine, spirits and cooler-type drinks also climbed. Here’s another way of looking at it: By dollar value, beer’s market share fell to 41.5 per cent in 2015-16 from 46.7 per cent in 2006-07, while wine’s share rose in the same time span to 31.6 per cent from 27 per cent. 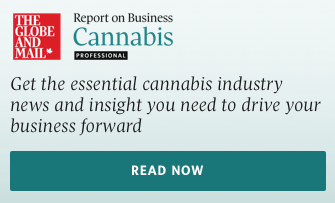 Marijuana companies with “extensive” production and distribution operations “will benefit from the significant pent-up legal demand for cannabis by being the first to market, and securing placement on shelves across the country,” AltaCorp said. Toyota Motor Corp. will announce plans today to spend more than $1-billion to upgrade its two Canadian assembly plants to build the next generation of its RAV4 crossover vehicle, sources familiar with the company’s plans said. Prime Minister Justin Trudeau and Ontario Premier Kathleen Wynne are scheduled to announce that each of their governments will provide more than $100-million in financial support for Toyota, The Globe and Mail’s Greg Keenan and Robert Fife report. The plans for the assembly facilities include a hybrid version of the vehicle and spending on research and development. America’s jobless rate now stands at just 3.9 per cent, its lowest in more than 17 years. The number of jobs created in the U.S. in April, according to the Labor Department today, was below the estimates of economists, at 164,000. But it’s still solid, Bank of Montreal and others say. “Amid growing labour shortages and trade policy concerns, hiring looks to have downshifted to a new normal, but healthy, range from the heated pace of late last year,” said BMO senior economist Sal Guatieri. David Milstead: Mogo’s mixed message: Is it a bank or not?